In the gallic joy and media hoopla of yet another French elite politician with almost no knowledge of economics getting the IMF top job, confirming the real role and mission of this fragile institution, its bizarre mutation to financial and economic charlatanism- goes almost unnoticed. The Greek debt crisis however shows this stark and clear. The IMF and the European Central Bank, with an outgoing French director and an incoming Italian chief, are basically struggling for survival – due to the debt crisis of a country with 11 million inhabitants whose GDP comes in at about 5 percent of EU-27 GDP. Whoever says IMF and ECB also says ‘US Federal Reserve’, although Ben Bernanke would likely nuance that and distance himself from failed “quantitative tightening” in south-east Europe, to concentrate on failed QE at home. What the IMF and ECB have cooked up in Europe’s PIIGS, with the second I-for-Italy moving upstage in a dangerous way as the Berlusconi empire and media circus crumbles, is nothing short of ultra Keynesian deficit medicine mixed with ultra Neoliberal austerity cures of the IMF 1980s Third World type. The net result is simple: debt has to become assets. Never mind the ideology because if this gambit fails, the euro will fall and a string of European, US, Japanese and other banking houses will shudder and tremble, 2008-style. The doctrinal mix-and-mingle running through the veins of global central bankers and their bridges to the political deciding elite – the IMF playing master of ceremonies – has become so confused, so bizarre we could call it an ice cream cocktail with chopped gherkins put through a mixmaster. It was not even born to fail – it was simply not biologically possible, but like dinosaurs… it happened. Using Greece as an online, real time exhibit of leading edge financial engineering, the IMF and ECB, along with the European Union and a few Greek politicians, watched by the US Fed and some very engaged private bankers and finance sector players, are creating one of the most massive debt explosions the world has ever seen. All this with the small assets, and big debts of a small country edging along the Balkans. But the Greek Ponzi-style debt pyramid grows every day; most media reporting gives rather fakely, exact numbers of the type: “As of 9am Wednesday morning, Greek sovereign debt is 365.2 billion euros”, and a slightly less fantasist number for how much Greece has to receive to cover the 31 days of July: 12 billion euro, roughly $ 1500 for every man, woman and child in the country. With borrowing like that, why work ? The second income has arrived, but of course with strings attached. 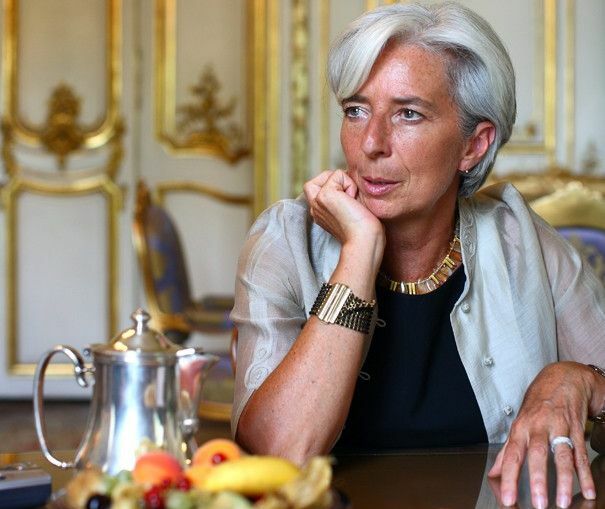 All eyes are turning towards French Finance Minister Christine Lagarde, the first woman to run the IMF or any large financial institution. The latest 12-billion dollop is the last part of the first debt package masterminded by the IMF and the Europeans, with the ECB in the lead but also including the European Commission and major government players, led by Germany’s Angela Merkel who has publicly said she got on fine with Dominique Strauss-Kahn, and will get on fine with Christine Lagarde: it is official. The strings attached include the Dr Jekyll part of the two-headed IMF monster: Greece has to perform. It has to achieve 50 billion euro of asset sales, not so easy in a country of 11 million inhabitants operating in the oversupplied Mediterranean package tour business against bankrupt Tunisia and bankrupt Egypt, now selling 8-day holidays at modern hotels, with food and air flights, at around $ 400 per person. With the July monthly instalment from the IMF and the Europeans, the entire Greek nation could ship itself out to Egypt for the month and find something creative to do with the unused assets, back home. Greece of course also has other assets, like lignite fuelled power plants, toll highways, ports, tanker shipping lines and even a few semi-bankrupt airlines. The real potential of achieving 50-billion-euro of asset sales in Greece, anytime at all, let alone soon is however rather low – but that doesn’t matter. What is needed is a public attempt at doing it, and here the IMF and its European friends, with their uncertain and perhaps wavering US allies, have stepped back in time to the 1980s Third World debt pantomine, complete with funny noses: all that is needed is a remake of the Club of Paris, bringing worried banks and reassuring IMF officials together, for a debt and asset slaughter, where assets were turned into debts rather fast. A country like Greece today, or 1980s-style debt strangled Third World countries, or Russia, Argentina and others in the 1990s has so much short-term debt and ever rising interest rates on that growing part of its debt balloon – a lead balloon – that any asset it puts on the block will be depreciated, quick time. The depreciation is rigorously ferocious, something like an aside in a Thorsten Veblen book on cigar puffing, cognac swilling Victorian capitalists. What you thought might bring in 5 billion euros will in fact return 50 million, penny-on-the-dollar style. Under that type of New Reality, austerity has to be Victorian-style, witness a hike in value added tax on Greek restaurant meals from 10 percent to 23 percent: if you have enough cash to eat out, you have enough to pay the IMF and ECB. Asset sales and state revenue hikes in Greece will therefore, and can only disappoint. Meanwhile, the debt clock ticks on and up, another bailout will be needed, so more assets have to be sold (even if they dont exist) and the austerity program has to be tightened, again. In the Russian case in the 1990s, national pride took a strange New Capitalist turn: roughly 40 percent of the entire population were de-monetized or moved out of the cash economy for several years. To be sure, this had a rather draconian impact on imports, let alone mortality rates, but even if oil was worth nothing in the 1990s, Russia kept on exporting it along with other Sunset Commodity resources – exactly like Argentina. So Russia pulled through, to a certain extent, leaving Putin with a permanent chip on his shoulder regarding Western capitalist partners and iron will to stay a creditor nation. Greece isn’t likely to have a resource-led export revenue boom, like Russia, Argentina and almost all the Jekyll-finance 1980s victims of the IMF in low income Africa and other Third World countries. This is Europe, meaning new-style rigour in a new-style post-liberal economy – which as we already said is the most bizarre cocktail crock of loony economic tunes a Martian could imagine. Failure is certain. Courage has no place at all in that me-too circus, but it could work in the Greek case: a sudden and dramatic abandonment of the euro with no prior warning would almost certainly succeed, aided by its shock and horror. The reintroduced drachma would spiral to nothing – but then banks, including the global central bank-surrogate, the IMF, and the would-be federal European ECB would understand they had gone too far with their Veblen medicine and themselves were set to lose everything, too. This brings us straight to a fundamental notion embodied in Keynesianism: if you have a big debt and can’t pay, bankers will stay interested in you. If you have a small debt and can’t pay – go away and die or take a stay in prison. Greece could shift to a street-friendly military regime of the type which (legend says) saved vodka swilling Boris Yeltsin, install a land army agriculture corps and national sea fisheries corps, develop close and friendly relations with other ruined new democracies of the Mediterranean region, and basically refuse to pay its debt. Playing for time, the new popular regime of Greece would by necessity be populist, and start by ousting all foreign migrant workers from the country, stemming remittance outflows from the country. This again would signal the new popular regime means business. An aggressive financial strategy with all other EU27 nations would also be necessary, carefully using the twin arms of debt default menace, and joint venture asset development promise. The IMF’s present role models and dominant ideology cocktails range from the laughable to the absurd and back again. Even as a gold hoarder and semi-legal trader, operating with the Basle-based BIS, the IMF is a failure and like other new style central banks probably has a lot less physical gold than it claims. All it can offer debt-strapped countries is SDRs and new debt, drawing down and destroying, or depreciating to almost nothing any real assets that happen to fall into its hands. Recovery is almost officially defined by the IMF as an Act of God, or Inch’allah for the Gulf state petro-monarchies brought onside by the IMF whenever possible. We can be sure that previous feats of the IMF, especially its decades-long debt financing saga with low income resource exporter Third World countries, would have dragged on even longer – if there had not been a sudden, strong and sustained upsurge in commodity prices. This upsurge was totally expected by almost any analyst able to use a two-dollar calculator, and totally unexpected by the IMF and its ruling elite politician friends. The IMF therefore has a proven track record of being surprised, and will be surprised by what we can call post-liberal recovery. In Greece, Portugal, Ireland, Spain and across the Med in Tunisia and Egypt this post-liberal recovery is emerging, sometimes quite fast. The restored state, the government, national institutions and national identity all have a post-global economy importance which of course is played down by average government friendly media in presently unaffected countries. This is a dangerous trend for fuddle-along debt financing and austerity miracles, which only fatten the regular gang of charlatans, who in any case will quickly lose their ill-gotten gains on the gaming tables of the global financial casino. The process is also post-ideology in a major way. Carefully unexplained by dominant media and their business editors, the failed dictators of the Arab world, currently including ben Ali of Tunisia, Mubarak of Egypt, Gaddafi of Libya and al Assad of Syria all played squeaky clean copybook export platform economics, yipped on by IMF-friendly economists and commentators. Inside their countries the story was a lot different. Street resistance was not driven by ideology or by demonstrators waving pictures of Che Guevara – but by citizens sick of not being able to afford to eat and the victims of permanent mass unemployment, casually described by well paid IMF experts as “an adjustment phenomenon”. Forcing the economy to ground zero, which again is official IMF medicine, drives society to a rapid search-and-select of what counts and what does not. The flimsy global economy and its tinsel promises weigh little, and outright resistance to austerity measures and cures will rise. The fear of anarchy and revolution in the post-liberal world – and a total loss for global finance players – is now moving up the teleprompter, prompting European, US, Japanese and other remaining defenders of Orthodox ‘no alternative’ economics to throw money at emerging national governments in a string of countries. Played right, Greece might also benefit from this. Editor’s Note: Just when you thought you’d seen the last of Jewish actor Adam Pearlman aka “Adam Yahiye Gadahn”, the grandson of ADL founder Carl Pearlman, he has landed a leading role in the ADL’s latest national long-range advertising push to ban gun ownership in the US. Mayors Against Illegal Gun Ownership have outsourced the scary bits for their TV ad series to the CIA’s ‘al-Qaeda media division’, As-Sahab, who managed to produce this slick looking video clip of Pearlman pretending to be the new boogeyman plotting to savage innocent Americans. What’s most amazing about all of this is that there are still millions of Americans who will perceive this advert as authentic and come away believing that Adam Pearlman, an American Jew and Israeli MOSSAD operative- is really some sort of “Al Qaeda spokesman”. As if the CIA and MI6-created Al Qaeda has either ‘spokesmen’ or a ‘media arm’. Job done. The US should really be lamenting that they have become a nation of neurotic, pill-popping TV addicts. Only a medicated population could swallow the Adam Pearlman Show. Poor Americans. New York mayor Michael Bloomberg has launched an ad campaign portraying entirely legal gun shows as a venue exploited by terrorists to obtain firearms. Jewish Actor Pearlman is toted by US establishment as a real Al Qaeda spokesman. Not long ago, Bloomberg shamelessly exploited the tragic shooting of Rep. Gabrielle Giffordsby a mentally ill Jared Lee Loughner to push a firearms background check scheme. Now he is exploiting a video featuring Adam Gadahn, said to head up al-Qaeda’s Sahab media wing. 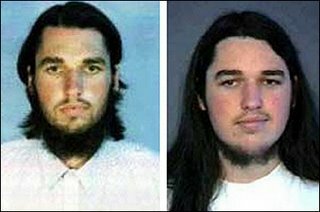 Earlier this month, Gadahn, aka Adam Pearlman from California, called for Muslims to buy guns and kill Americans. In the video, Gadahn makes the absurd claim that automatic weapons can be purchased at gun shows. “Criminals already know how to take advantage of gaps in our gun laws, and now Al Qaeda knows, too. Americans, including N.R.A. members, overwhelmingly support stronger laws to keep guns away from terrorists and other dangerous people,” Bloomberg said in a statement. ASPIRING ACTOR: Aspiring teenaged actor Pearlman got the chance to put his acting skills to use for the CIA and the ADL. He paid for the ads out of his own pocket. Media buyers estimate he shelled out between $200,000 and$250,000 for the ads, according to the New York Times. Bloomberg’s highly deceptive ad mixes in footage taken by his undercover operatives at gun shows in 2009, thus giving the impression that terrorists are buying fully automatic weapons from legal gun vendors. The ad urges viewers to contact their members of Congress to approve legislation that would further close down the right to purchase and own a firearm without government permission. In May of 2007, then congressman from Illinois, Rahm Emanuel, used a Stand Up For a Safe America event sponsored by the Brady Center to call for denying the Second Amendment to citizens who end up on the terrorist no-fly list. That same year the Inspector General of the Justice Department reported that the Terrorist Screening Center – the FBI-administered organization that consolidates terrorist watch list information in the United States – had over 700,000 names in its database. The list was growing by an average of over 20,000 records per month at the time. Emanuel is now mayor of the one of the most Second Amendment unfriendly cities in America, Chicago. Deceptive ADL anti-gun advert that attempts to skew public opinion on the Second Amendment. In 2010, Bloomberg produced a television ad exploiting the Columbine murders and placing the blame for the crime on gun show vendors instead of the perpetrators, Eric Harris and Dylan Klebold. Editor’s Note: Without question, Barack Obama came out of the political gate faster than any man in history, sporting a flashy rainbow stripe and pumped up with that political steroid we now as “Hope and Change”. But even 21st century messiahs can run into the realities of political physics. A hard and fast fall back down to earth, for a marketing phenomenon who- we must not forget, ran (and won) on the most unashamed, in-your-face antiwar ticket in modern history. After Obama took office there was no change in imperial war policy, it was if Bush Jr had somehow fallen asleep, drunk under the White House’s Presidential Tanning Bed (sincere apologies for the crude turn of phrase here, but these are very cruel wars, no hope, no change). More wars, more and more bombings and countless body bags. 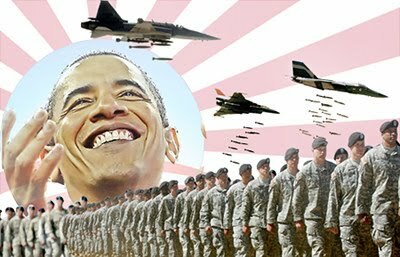 BARACK O'BOMER: When the Neo-Con War angle was spent, the elite tried their Socialist Bomber, who is already crashing and burning. We all thought Bin Laden would save him. He thought he could bomb his way into re-election. So here we are 20,000 Tomahawk Cruise Missiles, and 15,000 sorties and smart bombs later, and Barack finds himself further in free-fall, down those all-important Presidential approval polls. Perhaps African-Americans are finally waking up after the come-down from the Barack-Buzz, the Studio 54 soiree is finally over. As their first ever African US Chief Exec continues to put more Africans (Libyans) into body bags, his faithful are rapidly fleeing for what’s left of the country’s moral high ground. He was meant to be Zbigniew Brzezinski and Henry Kissinger’s six million dollar Manchurian machine. Americans truly believed they had found their mythological Superman, only to be duped and sold another golf club-swinging teleprompter reading bullet pusher. More likely, a true hero for Americans will come in the form of some one with a genuine track record of community service, a woman named Cynthia McKinney. It’s possible that America has not seen such a politician with this much character who is willing to put it all on the line for the people she works for- the American people. As we warned him earlier this year… Barack, the penny will eventually drop and your fans will demand substance, not more clever sales spin. We didn’t find it in you Barack, but thank God we found it in Cynthia McKinney. The irony… a man who accepted a Nobel Peace Prize before he started working. Anyone who would accept such a dodgy award could never really be worth his salt. 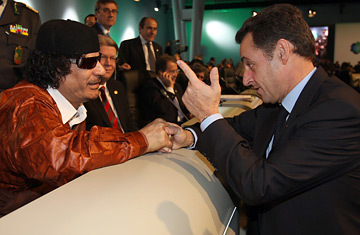 An important 2008 campaign coalition for the president is not happy with his actions in Libya and it could very well cost him politically in 2012. 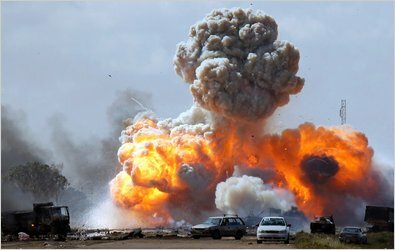 The war in Libya continues to lose support and despite liberals on a site like The Dally Kos who tout reasons to support the war, leftists in the anti-war ANSWER coalition are dead set against it. Congressman Dennis Kucinich, Ohio Democrat, was part of a bi-partisan group of members on Capitol Hill who filed a lawsuit against the president two weeks ago for executing an illegal war. Before the House voted to deny authorization to the Libyan war but fund the operation, Rep.Kucinich told reporters last week, “It’s a tradition that the president’s party on the congressional level tries to offer him support, but I think that we need to give better advice to the president that this mission is not possible. That it’s misguided. That he had advice from the Pentagon and from his Attorney General that would suggest. Randy Short of Black Agenda Report was also on Saturday’s ANSWER speakers’ panel and went after President Obama for “funding” what Mr. Short called “n****r hunting” in Africa. It is unlikely ANSWER will get the huge numbers of anti-war participants it saw during the Bush years. Without a Republican in office, the left has little in common to unite and hate over. However, an anti-war march is planned in Washington on July 9, nonetheless. It seems that the left-wing is currently divided among three factions. One side is protecting the president from negative fallout during a campaign year from his own foreign policy actions. Another more pure pacifist crowd wants to retreat immediately from all foreign intervention regardless of consequences. The third albeit smaller camp senses impending election doom and is looking for a face-saving way out of the intra-party dispute in the hopes of salvaging some endangered seats in Congress. Is it no wonder President Obama called to draw down troops from Afghanistan so he could focus on domestic policy? This story is from 21st Century Wire. Editor’s Note: While the mainstream media guardians have been napping, we published a comprehensive article warning the public of the dangers present at Ft Calhoun. Now we are told that the flood berm has now collapsed after being punctured by “an unidentified piece of machinery“. Our big media stars and knuckle-dragging elected officials should be reminded here that this plant’s rod pool holds 20 years worth of spent fuel rods from all plants in the state plus 1/3 of of the rods that were removed during a recent refueling that was just accomplished. Now it appears that back-up generators are working to cool the nuclear materials (sound familiar?). OPPD spokesman Jeff Hanson said the transfer was precautionary because of water leaking around the concrete berm surrounding the main transformers. If they loose cooling around the fuel rods, this will be as bad- or worse, than the meltdown at Fukushima, Japan. This story could be reaching a critical climax, and there is nothing but silence. Don’t say we didn’t warn you, although we are praying this situation is not going to escalate. 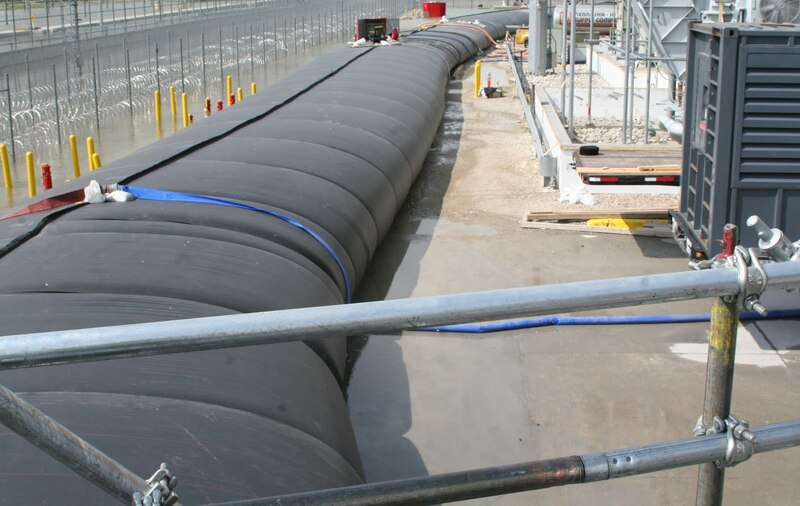 GONE: This 7.5 ft protective rubber dam has now failed at Ft Calhoun's nuclear plant. NRC officials are still denying there is any danger after nuclear plant flooded yesterday. Editor’s Note: Officials are still maintaining the line that this nuclear plant in Nebraska is safe against the recent flooding along the Missouri River, but the public can only sit back and wait to see. If there is any disruption of service to the cooling pool for the spent fuel rods, then the region may be in serious danger. Pictures of the Fort Calhoun nuclear power plant north of Omaha, Neb., show it encircled by the swollen waters of the Missouri River, which reached a height of nearly 1,007 feet above sea level at the plant yesterday. The plant’s defenses include new steel gates and other hard barriers protecting an auxiliary building with vital reactor controls, and a water-filled berm 8 feet tall that encircles other parts of the plant. Both systems are designed to hold back floodwaters reaching 1,014 feet above sea level. Additional concrete barriers and permanent berms, more sandbags and another power line into the plant have been added. The plant was shut down in April for refueling and will remain so until the flood threat is passed. “Today the plant is well positioned to ride out the current extreme Missouri River flooding while keeping the public safe,” Nuclear Regulatory Commission spokesman Victor Dricks said on an agency blog this week. But a year ago, those new defenses were not in place, and the plant’s hard barriers could have failed against a 1,010-foot flood, the Nuclear Regulatory Commission contends in a yearlong inspection and enforcement action against the plant’s operator, the Omaha Public Power District (OPPD). “This is the first test of the revised flood preparations for Fort Calhoun,” OPPD spokesman Michael Jones said. 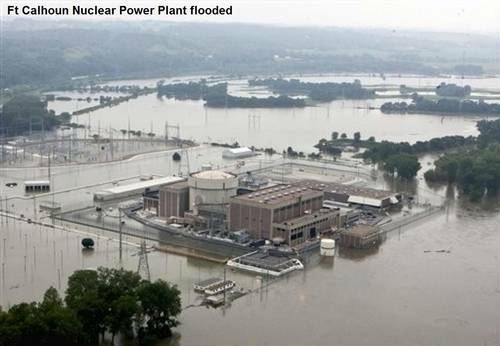 NRC inspectors concluded that at flooding levels above 1,008 feet, the plant “would experience a loss of offsite power and loss of intake structure” and water pumps providing essential cooling water to the plant. In that case, “the plant would be incapable of reaching cold shutdown” with normal operations — a fundamental safety requirement imposed by the NRC. The commission’s Region IV office in Arlington, Texas, issued a notice of violation against the plant on Oct. 6 last year, finding that the issues were of “substantial importance” to the plant’s safety. OPPD challenged the NRC’s inspectors’ conclusions in a series of conferences before bowing to the commission staff’s demands and agreeing to install the additional defenses this year. The AquaDam water berm was installed beginning June 4. The questions about the plant’s flooding safeguards illustrate the challenges that confront regulators seeking to protect nuclear plants against extreme natural hazards — challenges that appear more foreboding now in the shadow of Japan’s Fukushima Daiichi nuclear disaster. The 1,010-foot level represents a so-called 500-year flood peak that has not occurred on the Missouri outside Omaha since 1952, according to National Weather Service data. But the level has topped 997 feet 16 times in the past two decades, the NWS reported. The vast Missouri River flooding follows enormous accumulations of snow on the Western mountains that drain into that river system, another devastating impact of extreme weather that is forcing reconsideration of disaster planning, experts say. Despite the stark conclusion of the October 2010 NRC letter, the plant’s vulnerability under different flood scenarios isn’t black and white, says Gerond George, a senior NRC reactor inspector, who returned from his most recent trip to the plant site Tuesday. 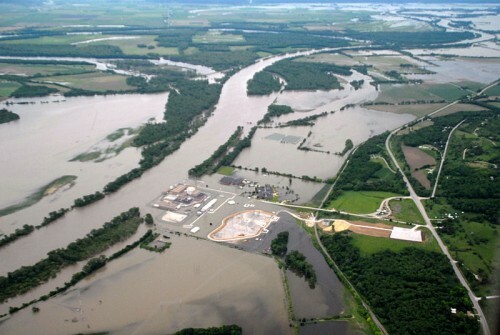 The NRC and OPPD have different interpretations of the utility’s obligations under its license, and the response of the Fort Calhoun staff to a flooding emergency cannot be precisely predicted, the NRC says. “The NRC isn’t saying if the flood happened last year, they couldn’t have protected the plant. We can’t say that for sure. They would have had trouble,” George said. A still-unresolved issue in the dispute is the NRC’s contention that OPPD received, but did not properly act on, a warning by the U.S. Army Corps of Engineers in 2003. It said high-water threats to the plant should be raised by 3 feet based on a new assessment following severe Missouri River floods in the mid-1990s. “The performance deficiency existed for many years,” the NRC said in an Oct. 6, 2010, letter to the Omaha utility. Another open issue is why NRC’s inspectors did not focus on the flood threat until an inspection in 2009, George said. “We’ve been looking at that, as well, to be honest. How did we miss it?” he said. “We believe it is just the nature of the inspection program. … We only sample certain parts of their design basis,” the term for the anticipated threats that nuclear plants are required to survive. When NRC inspectors decided to take a close look at Fort Calhoun’s flood protections in 2009, they found a range of barriers that reached nearly to the 1,010-foot level. The precise level — 1,009.5 feet — is written into the plant’s operating licenses as a flooding “design basis” threat that the plant must be guarded against. But OPPD had also committed to protect the plant’s reactor systems against floodwaters reaching 1,014 feet, the NRC says — a level that might be reached if the Gavins Point Dam upriver on the Missouri in South Dakota were breached. OPPD planned to extend the barrier to 1,014 feet by stacking sandbags on top of some steel floodgates that protected the auxiliary building, and to use more sandbags to safeguard the water intake structure and its essential cooling water pumps. The NRC inspectors rejected that strategy. “The sandbagging activity would be insufficient,” the NRC concluded in a July 15, 2010, letter to OPPD. The half-inch cross section on the top of the floodgates was too small to support a 5-foot stack of sandbags hit by swirling floodwaters, the agency said. OPPD spokesman Jones said the heart of the dispute is a disagreement in how the utility and the NRC assess the plant operator’s responsibilities. “We presented our analysis to them, which we felt indicated that the design basis [for the flooding threat] should remain 1,009 feet,” rather than 1,014 feet, he said. After OPPD assembled a panel of experts last year to contest the NRC’s judgment, the agency fired back with an even stiffer dismissal of the utility’s plans. The utility said the plant’s fire engine could also be lifted onto the deck of the turbine building alongside the reactor to pump floodwaters from that building. If levels exceeded 1,004 feet, water would reach the lower floodgates, hampering the welding of plates to door frames, the NRC said. At 1,008.5 feet, the technical support center used by emergency technicians would have been inundated. At 1,010 feet, water would begin to enter the auxiliary building, “shorting power and submerging pumps. The plant could then experience a station blackout with core damage estimated within 15 to 18 hours,” under a worst-case scenario, the NRC said. The NRC concluded that the use of the fire truck for emergency pumping would fail, after it determined the truck could not draw floodwaters successfully from the turbine building. Moreover, it was not clear how workers could operate a crane to lift the fire truck into position if outside power were lost, the NRC staff added. The NRC has not completed its evaluation of the new defenses installed at Fort Calhoun, nor has it resolved how OPPD handled the new information about flood threat that the NRC says the utility received via the Corps of Engineers. The NRC cites an updated flood assessment by the corps in 2003 that raised the high-risk flood threat levels by approximately 3 feet. The NRC said OPPD updated its own flood analysis in 2005 but did not mention this flood analysis update when it made changes to its emergency planning. OPPD “did not develop a corrective action plan” to respond to the new information, NRC said. “We think they had the information, and acted on it, but not in the way they should have,” said George. “Their documentation did not reflect that [information].” The matter is still under investigation. MEDIA BLACKOUT: WAS THERE A NUCLEAR INCIDENT AT FORT CALHOUN NEBRASKA? The House of Representatives dealt a symbolic blow to President Obama on Friday by resoundingly failing to approve a bill authorizing the contentious military operations in Libya. But the House stopped short of a total desertion of a war-time president by also rejecting a measure to limit financing to support the military operations there. The resolution to support the mission, which was based on a Senate measure introduced Tuesday by Senators John Kerry, Democrat of Massachusetts, and John McCain, Republican of Arizona, failed 295 to 123, with 70 Democrats joining Republicans on an issue that has divided Democrats and became a major Constitutional flash point between Congress and The White House. (See how all the members voted.) The Senate has yet to take up their measure. 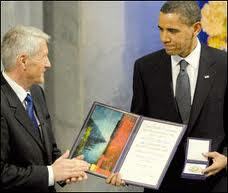 WAR MAKER: Congress block Obama's latest war, throwing further irony on his Nobel Peace Prize in 2008. A second measure, which would have prohibited money for military operations outside of support activities like search and rescue, aerial refueling, operational planning, and intelligence, surveillance and reconnaissance — essentially ending direct American combat activity like missile strikes — failed 180 to 238, with 89 Republicans deserting their party on the measure, and only 36 Democrats voting in favor of it. The measure, which had the support of Republican leadership, was intended to severely limit America’s role while not completely leaving NATO allies in the lurch. The message – a bipartisan muddle – reflected both a nation weary of wars across party and geographic lines, and a Congress that dislikes having its powers usurped by the executive branch. Over the last few months, there has been increasing hostility toward the Obama administration in the House among both Democrats who oppose the war and many Republicans who cite Constitutional issues over the president’s refusal to seek authorization from Congress for the operations in Libya. They say such authorization is required by the 1973 War Powers Resolution. Under that law, presidents must terminate unauthorized deployments 60 days after notifying Congress that they have begun. If what the United States military is doing in Libya constitutes “hostilities” — the administration argues that it does not — then that deadline passed on May 20. Speaker John A. Boehner has repeatedly warned President Obama that the House considers the situation untenable and would seek to intervene through resolutions and its power of the purse. On Thursday, Secretary of State Hillary Rodham Clinton met with scores of House Democrats and urged them to vote against the defunding resolution, insisting the collective effort in Libya was close to ousting the nation’s leader, Col. Muammar el-Qaddafi. In emphatic language, Mrs. Clinton warned them that a resolution to bar money for Libya would be disastrous to American interests in that war-torn nation, said some of the 60 or so Democrats who attended. Representative Lynn Woolsey, Democrat of California, said that while Mrs. Clinton “did a really good job of making the administration’s case,” Ms. Woolsey was ultimately not swayed to support the activities in Libya. “She did what the White House should have been doing all along, which is come to us, talk about the situation, tell us what their perspective is, and have a conversation,” Ms. Woolsey said. A bipartisan group of representatives will also offer an amendment to a Pentagon appropriations bill, which may be voted on as early as Friday, which would further cut funding for intelligence and operational support in Libya, and end all activities by October. It is not clear how much support that measure would have if the more limited resolution offered by Mr. Rooney passes. FORT CALHOUN: PREDICTIVE DRILL OR MERELY COINCIDENCE? A bizarre coincidence? The emergency preparedness video by Universal Education Systems available on an Egyptian website, outlines the potential scope of nuclear disaster at Fort Calhoun. Foretelling? Video outlines plume disaster at Ft Calhoun before it happened. Since flooding began on June 6th, there has been a disturbingly low level of media attention given to the crisis at the Fort Calhoun Nuclear Facility near Omaha, Nebraska. But available evidence strongly suggests that something very serious could have happened there. Unfortunately for members of the public, there is no shortage of proof that serious nuclear incidents and radiation releases have happened in America, and have been covered up each and every time. Most Americans are completely unaware that dangerous radiation has leaked from some three-quarters of all U.S. nuclear power stations and should naturally raise concerns that much of the the country’s water supplies may be contaminated. For this reason, it is paramount that the media and the public demand every bit of information available on this latest event. First accounts tell us that on June 7th, there was a fire reported at Fort Calhoun. The official story is that the fire was in an electrical switchgear room at the plant. The apparently facility lost power to a pump that cools the spent fuel rod pool, allegedly for a duration of approximately 90 minutes. RISK: Levees in and around Omaha were not designed for 3 months of continuous flood water. Not surprisingly, and completely ignored by the Mainstream Media, these two nuclear power facilities in Nebraska were designated temporary restricted NO FLY ZONES by the FAA in early June. The FAA restrictions were reportedly down to “hazards” and were ‘effectively immediately’, and ‘until further notice’. Yet, according to the NRC, there’s no cause for the public to panic. FORT CALHOUN: Under water now. Is it potentially the next Fukushima? A news report from local NBC 6 on the Ft. Calhoun Power Plant and large areas of farm land flooded by the Missouri River, interviews a local farmer worried about the levees, “We need the Corps-Army Corps of Engineers–to do more. The Corps needs to tell us what to do and where to go. This is not mother nature, this is man-made.” Nearby town Council Bluffs has already implemented its own three tier warning system should residents have to leave the area quickly. Flooding fears would be drawfed however, in the event of a radiation leak at one the region’s nuclear facilities. If there was any core damage, there is no guarantee that officials would allow such information to be made public for fear of public panic and loss of confidence. Serious nuclear incidents have taken place on US soil which were covered-up, in some cases for over 40 years. “In 1959, a partial meltdown occurred at the Boeing-Rocketdyne nuclear testing facility, about 30 miles northwest of downtown Los Angeles. The incident released the third greatest amount of radioactive iodine in nuclear history. But no one really heard about it until Boeing recently settled a class-action suit filed by local residents,” reported Living On Earth in 2006. At no point were members of the public informed about these severe radiation leaks which undoubtedly caused hundreds of cases of cancer and contributed to resident deaths. Details of this and other incidents have been kept secret for some 40 or more years. COVER-UP: The Boeing-Rocketdyne nuclear incident, 30 miles from downtown Los Angeles. According to the seven-level International Nuclear and Radiological Event Scale, a Level 4 incident requires at least one death, which has not occurred according to available reports. According a recent report on the People’sVoice website, The Ft. Calhoun plant — which stores its fuel rods at ground level according to Tom Burnett — is now partly submerged and Missouri River levels are expected to rise further before the summer if finished, local reports in and around the Fort Calhoun Nuclear Plant suggest that the waters are expected to rise at least 5 more feet. Nuclear engineer Arnie Gundersen explains how cooling pumps must operate continuously, even years after a plant is shut down. As with the critical event in Fukushima, in Ft Calhoun circulatin­g water is required at all times to keep the new fuel and more importantl­y the spent radioactive material cool. The Nebraska facility houses around 600,000 – 800,000 pounds of spent fuel that must be constantly cooled to prevent it from starting to boil, so the reported 90 minute gap in service should raise alarm bells. Conventional wisdom about what makes for a safe location regarding nuclear power facilities was turned on its head this year following Japan’s Fukushima disaster following the earthquake and tsunami which ravaged the region and triggered one of the planets worst-ever nuclear meltdowns. Nebraska’s nuclear plant’s similarities to Japan’s Fukushima, both were store houses for years of spent nuclear fuel rods. In addition, there are eyewitness reports of odd military movements, including unmarked vehicles and soldier movements throughout the region. Should a radiation accident occur, most certainly extreme public controls would be enacted by the military, not least because this region contains some of the country’s key environmental, transportation and military assets. The nuclear industry has a very long history of withholding information and misleading the public with regards to the hazards of its industrial activities. One of the lessons we can learn for Japan’s tragic Fukushima disaster is that the government’s choice to impose a media blackout on information around the disaster may have already cost thousands of lives. Only time will tell the scope the disaster and how many victims it will claim. More importantly, though, is that public officials might do well to reconsider the “safe” and “green” credentials of nuclear power- arguably one of the dirtiest industries in existence today. Especially up for inspection, are those of 40-50 year old facilities like Ft Calhoun in the US, strangely being re-licensed for operation past 2030. Many of these older facilities serve little on the electrical production front, and are more or less “bomb factories” that produce enriched material for nuclear weapons, and recycled nuclear waste used in deadly depleted uranium munitions. When a nuclear facility goes red, it’s game over for the population in the surrounding vicinity. Can we really afford more Fukushima-type events from a government and an industry that keeps its lips so tight? Listen to 21st Century Wire’s Editor Patrick Henningsen on global shortwave radio network TruNews show with host Rick Wiles. Patrick’s interview begins 26 minutes and 30 seconds. NATO FREE-FOR-ALL: The UN sanctioned bombing campaigns in Libya have already killed thousands.